Anxiety Club is an alternative rock/country/grunge band who describe their music as a pinball rumble between Ryan Adams and The Smashing Pumpkins. Members include drummer Chris Hill, guitarist Cam ‘Dusty’ Burnell, bass player Matt Coplon and singer Kevvy Fitz. 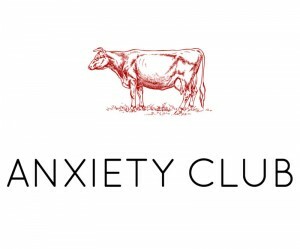 Anxiety Club released a live EP in September 2016 and played their debut gig in February 2017. We are live and in full technicolour this Friday 17th Feb at MOON 1! Also starring Frank Burkitt and Secret Life of Plants!